Paul Lewis on the daylily teeth blog. 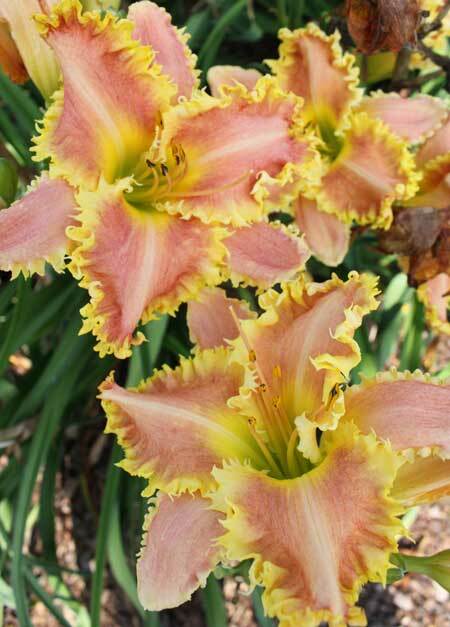 This entry was posted in Daylily Hybridizing, Introductions, People Pictures, Seedlings and tagged Bass Gibson, daylily blog, Eight Miles High, Paul Lewis. Bookmark the permalink. Just to be clear, the seedling pictured is from Guy Pierce, not from me. Picture was taken down at Floyd cove this past June. This is an amazing seedling with teeth all along the sepals as well. I’m not sure when Guy will be introducing this daylily, but I’ll be first in line. It was very nice!